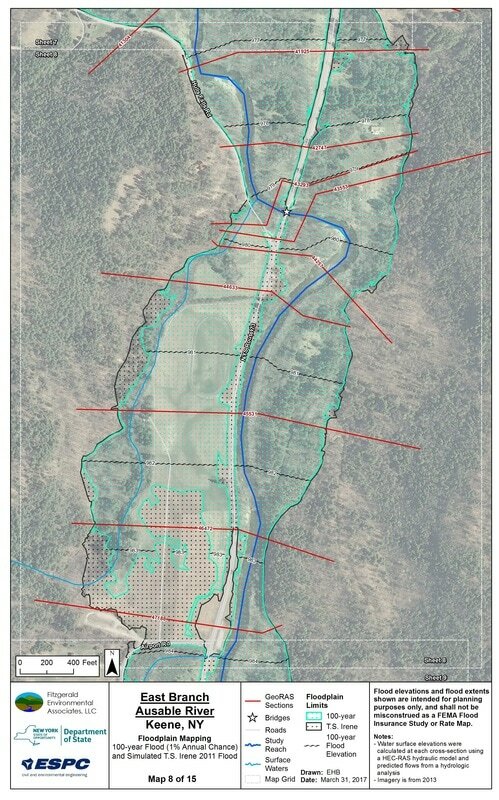 GIS and Hydraulic/Hydrologic Modeling - Fitzgerald Environmental Associates LLC. 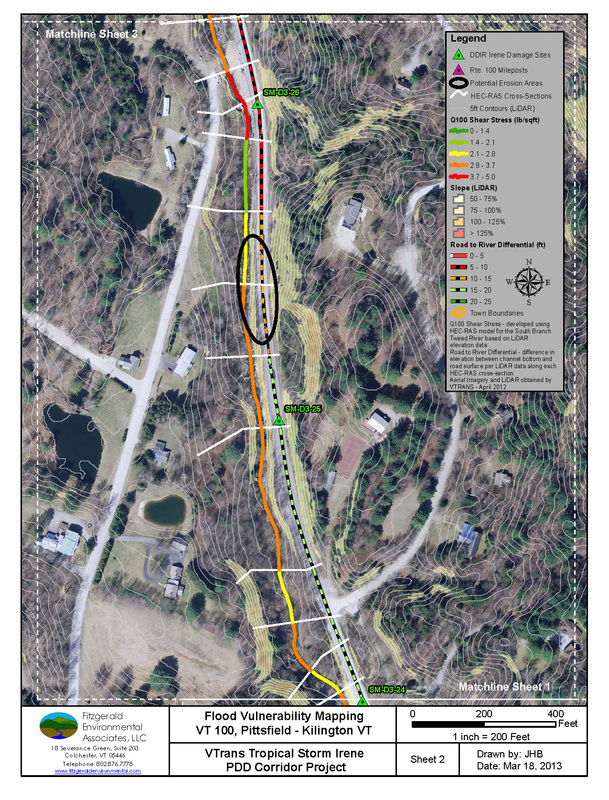 As part of our Irene recovery assistance to VTrans, FEA prepared flood vulnerability maps for the VT Route 100 corridor in Pittsfield and Killington (located in the Upper White River watershed) to assist with the identification of vulnerable roadway segments following Irene. FEA developed a process-based approach to identify vulnerable roadway segments using LiDAR data as a basis for hydrologic-hydraulic modeling, embankment slope mapping, and roadway relief mapping. We determined that 8 of 11 Irene damage sites along the corridor were associated with the highest levels of shear stress (i.e., erosion potential), validating the notion that roadway failure was predominantly caused by fluvial erosion. Potentially vulnerable areas were identified in the screened in the field, resulting in the identification of 3 additional areas in need of stabilization. 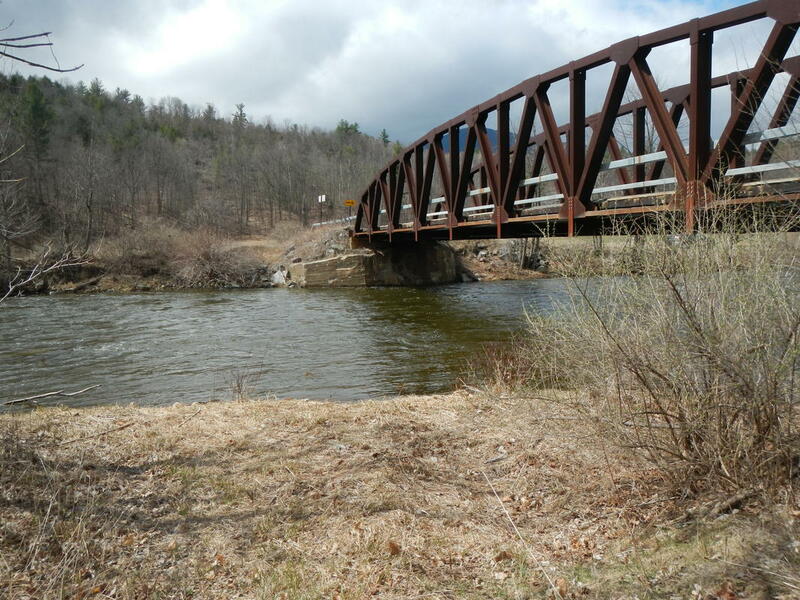 As part of the Long Term Community Recovery Plan for the Town of Keene, NY FEA prepared floodplain maps to better understand the resiliency of infrastructure to flooding. FEA combined hydrologic analyses with high-resolution LiDAR data and field measurements of bridges along the East Branch Ausable River in a HEC-GeoRAS model to estimate flood extents and flood depths for the 100-year storm and an event similar to Tropical Storm Irene.